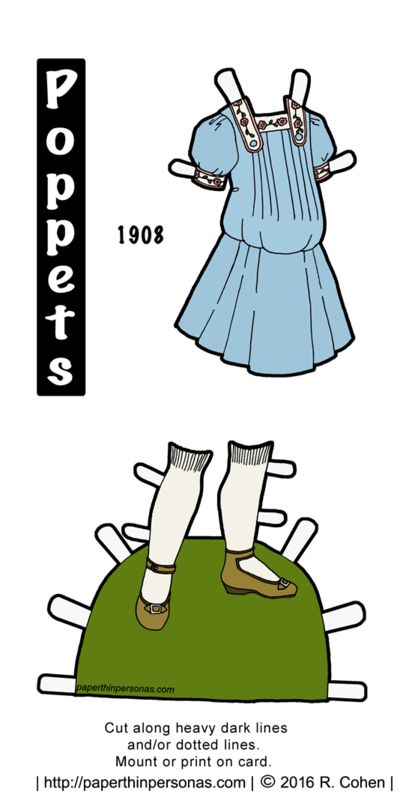 I don’t know much about the history of children’s clothing. Your research is just as interesting as the final drawing! I love the little flower embroidery. This looks like something a kid could play in. The evolution of childhood and all the trappings that go with it are fascinating! We just watched the Samantha American Girl movie, and it’s right smack in the middle of the Edwardian era, and there was a lot of discussion on the styles of clothing. None of us particularly liked the pigeon breast look of so many of the outfits, and it’s so prevalent in that time period. The corsets of the period pushed a woman’s chest forward and her hips slightly back, allowing for a very tight lacing to create a narrow waist and the resulting pigeon thing. It is a trend I rather hate, but it is what people wore. children’s clothes in the edwardian era with those drop waists are so weird-looking to me ~ hahaha. it’s an era that i have mixed feelings about in general. but this is so lovely, you should definitely do more! I have several more inked, but they are in need of coloring. I agree that it is an odd era.